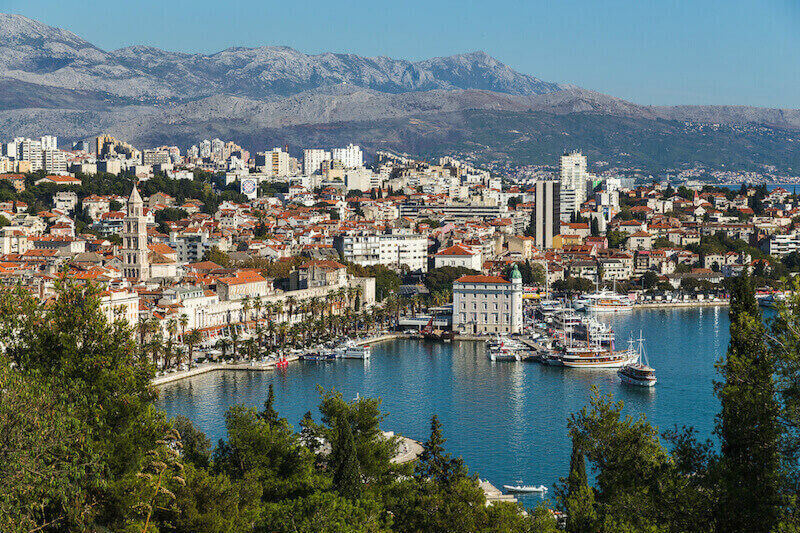 Croatia is once again a hot destination for 2019. With the clarity of its sapphire waters, the beauty of its fairy tale towns, lakes and mountains that will take your breath away and a fascinating history, it really is the whole package. Add delicious Mediterranean cuisine and some incredible wine options and you may never want to come home. New Zealand has a strong Croatian community, well known for bringing their viticulture skills to our country. 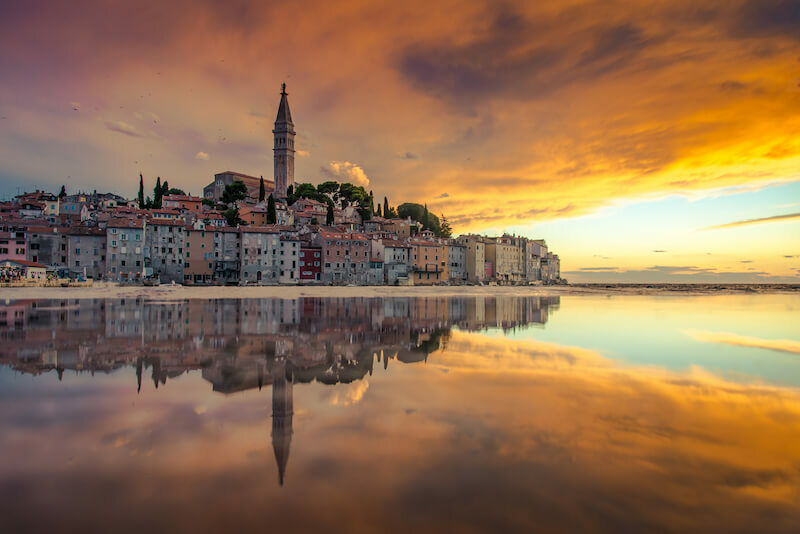 Many of these families still return home regularly, so we interviewed some Kiwi Croatians in the know, and convinced them to divulge their insider tips. Zagreb is beautiful - start with a walk around the city centre from Trg Bana Jelacica square; there are lots of historical buildings to see and museums to visit in the city. My favourite ice cream and cake place is the bakery called Vincek - try the famous custard slice called Samoborska kremsnita. While in Croatia, you need to try local wines and beer. For lager go with Karlovacko or Ozujsko. The traditional plum brandy called 'rakija' is a must. And if you tell anyone you have a sore tummy you will be offered plenty of homemade medicinal brandy made with walnuts and other herbs. Indulge away! The best time to travel to Croatia is in May/June or Sept/Oct. Most under 40-year-olds in the tourist spots will speak reasonable English. 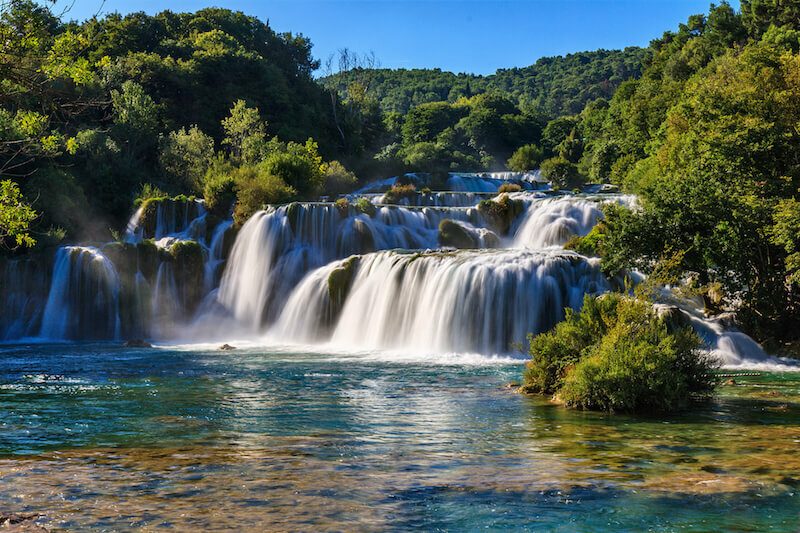 The national parks of Krka and Plitvica are a must, as is Split and any of the islands. On the coast, the beaches around Makarska are beautiful too, but expect to sunbathe on rocks, not sand. That's what makes the water so crystal clear. The walk around the old town walls of Dubrovnik in the south is amazing and not to be missed. When I go back to Croatia it’s all about the food - BBQ corn at the beach, palacinke (crepes), fish picnics, octopus salad, black rice, lamb on a spit, pršut, cheese, olives, fresh bread. It’s all delicious and everything is so fresh. August is utter madness in Croatia so be prepared if you choose to travel in this month! 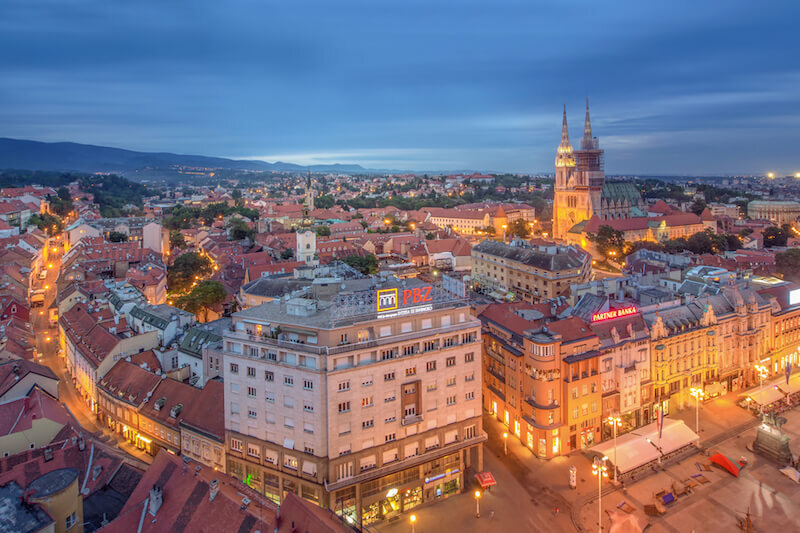 Don’t miss a few days in Zagreb, a stunning city with incredible history and amazing foodie options. 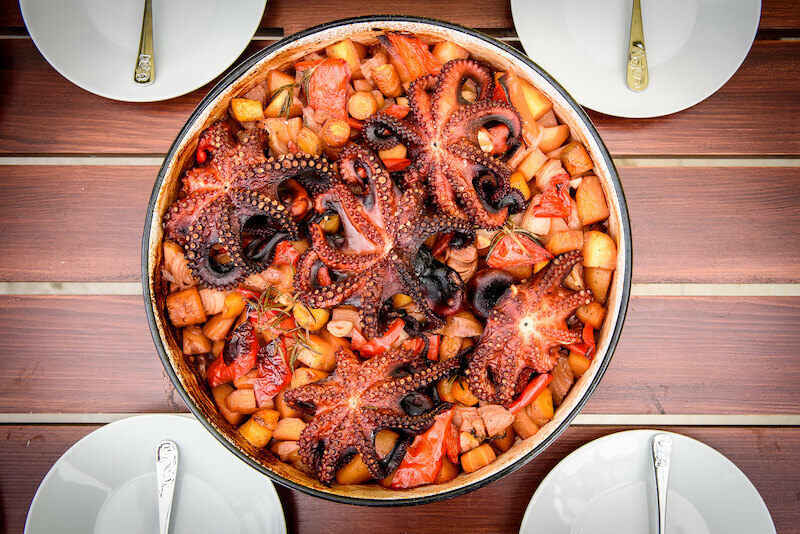 While in Croatia, eat as much fresh seafood as possible, and be sure to get out on the water if you’re travelling along the coast; boat trips with guides are relatively inexpensive off-peak and local knowledge is a huge bonus. 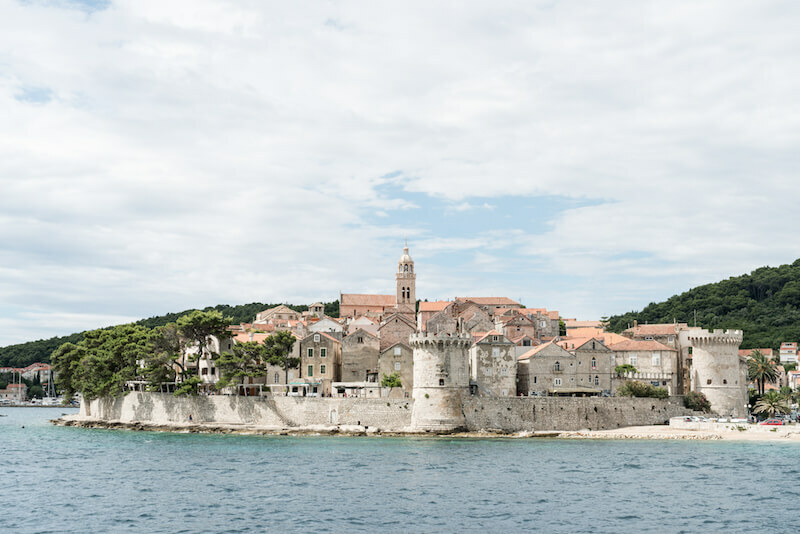 Spilt is a must-do - one of the best port cities to easily hop on a boat and explore Islands like Hvar and Brač. The gorgeous Diocletian’s Palace and its underground chambers are unforgettable. I love going back to Croatia. It’s got so much for whatever suits your mood or desires. If you’re into relaxing, drinking cocktails, swimming at sandy beaches, riding sand buggies and doing wine tastings, then Lumbarda on the island of Korčula is a definite! And it’s only two and a half hours on a comfortable air-conditioned catamaran from Split. I also love shopping in Split as the shops around Diocletian’s Palace are all renovated amongst the old brick walls so beautifully. The things I always eat when I go to Croatia are krafne (jam filled donuts) - burek od sira (flaky filo dough filled with feta and cottage cheese) - hobotnica salata (octopus salad) - cevapčiči (Spiced sausage served on pita bread with thinly sliced onion, lettuce leaves and some ajvar relish). Fresh fruit from the markets - especially figs - and lots of ice cream and pizza too. Take a quick break in Karlovac, the city on four rivers where you can choose to kick back on the beach, go hunting and fishing or even white water rafting. If you’re on your way to the coast, hop off the motorway and visit the museum of Nikola Tesla. 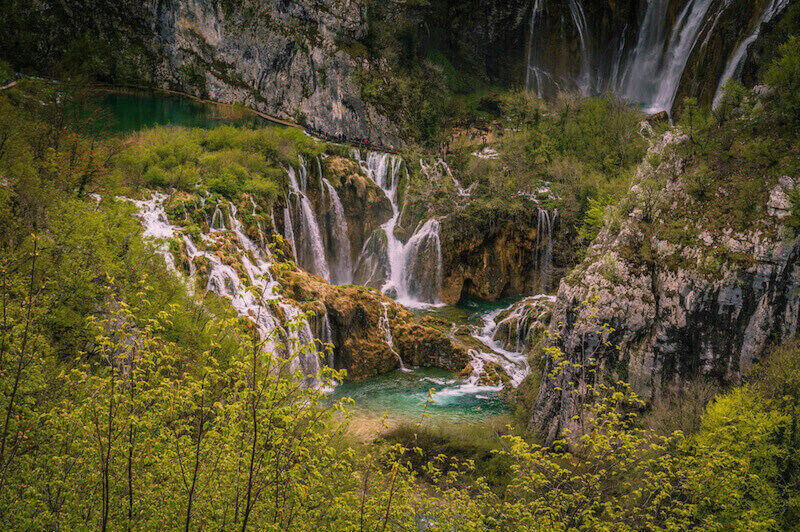 Getting close to the Adriatic Sea you absolutely must do a day stop at the national park of Plitvice Lakes. In the north there is a peninsula called Istria with some must-see sites in Opatija and great historic spots in Pula. One of the hidden gems is the northern island of Krk - very easy to reach from Zagreb and no need to catch a ferry. In Split, a popular city beach called ‘Bačvice’ will give you a rare taste of sand. Join the locals in a water game called Picigin, played with a small bouncy ball. Alexia Santamaria is a freelance writer for the NZ Herald, Metro, Next and others, focusing primarily on food and travel. Her past includes two years living in Narita, Japan, one year in London and another in Glasgow. She now calls Auckland home.